I don't know about you, but I can't stop listening to Michael Buble's Christmas songs over and over again - and one of my favourite is (as the title suggests): "It's Beginning to Look A Lot Like Christmas". OK, what about coffee? Yes....? No.....? But you still love to go to Starbucks, order the same thing, sit down and WIFI lama-lama, selama-lamanya, selama yang mungkin. Yes, we love Starbucks. And when you are there, you can't help but to notice this big sign: "Keeping Spirits Bright"
And I tell you what. Starbucks has it all. You sure you don't want this? You can't even take your eyes off! Nice kan? Starbucks, I pinjam guna ya... Look at the thermos! And of course, Starbucks is introducing Christmas Cookie Latte, which is a buttery and creamy latte infused with shortbread cookie sauce + whipped cream + shortbread cookie and butter cookie crumbles! Yes, Starbucks did not forget our favourites! The ever popular Toffee Nut Latte is back, now topped with a creamy espresso caramel whipped cream (oh gawd.....) AND my personal favourite, oh, my Starbucks Peppermint Mocha. Your mocha + peppermint = OMG, love it! 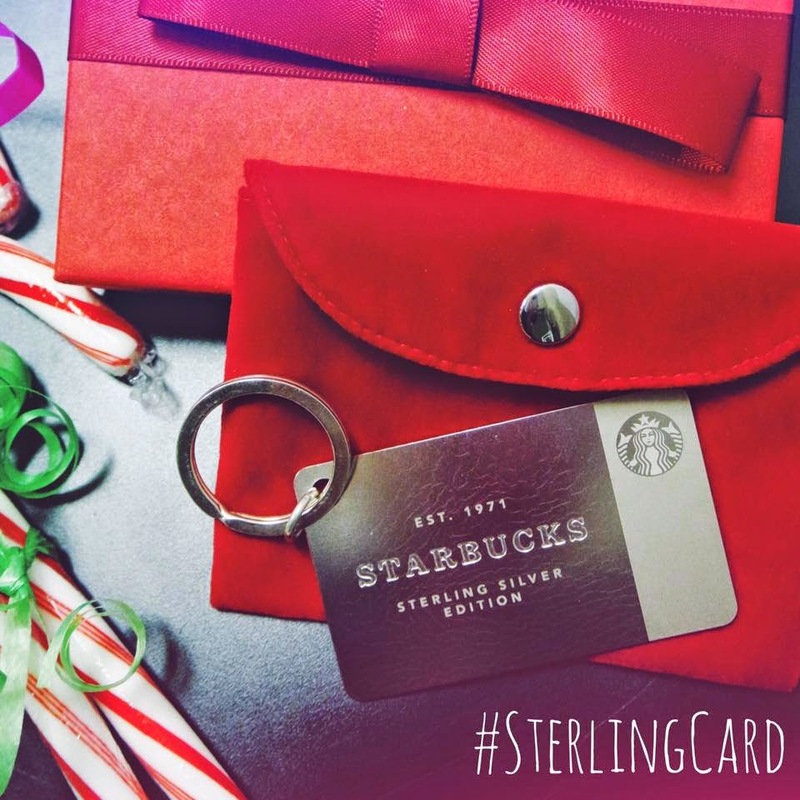 The BIG news is.... announced today.... the Starbucks Sterling Card!!!!!! Don't know how it look? I got that covered. I have to say, I do like the "Starbucks" metal bookmark! While you are at it, read this too. 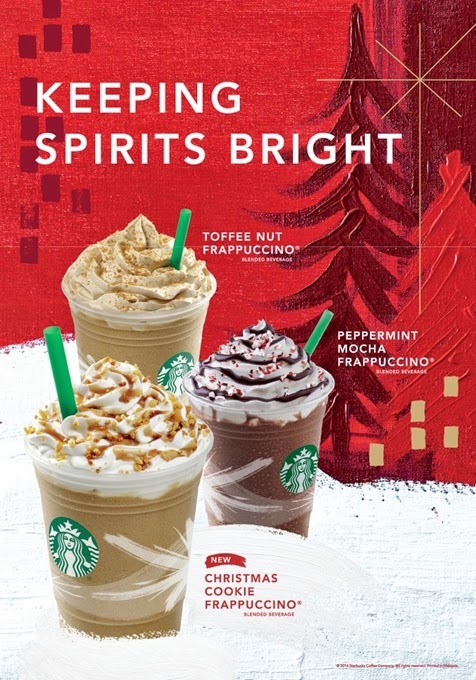 Please note on the 5 Christmas beverages as part of the redemption T&C. 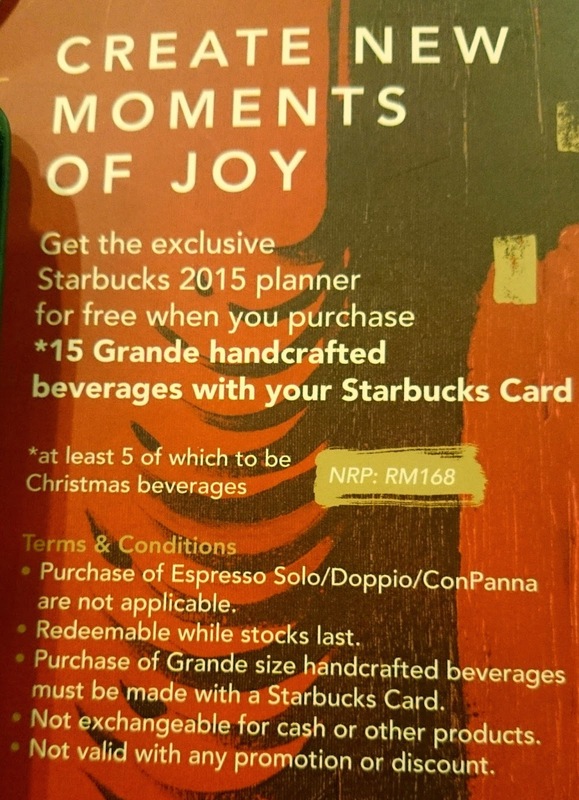 I really don't mind the Starbucks planner, available in two colours, you better hurry before it is all out! There's no excuse for you, not knowing what gifts to buy - ini macam-macam ada! Happy Starbucks-ing! 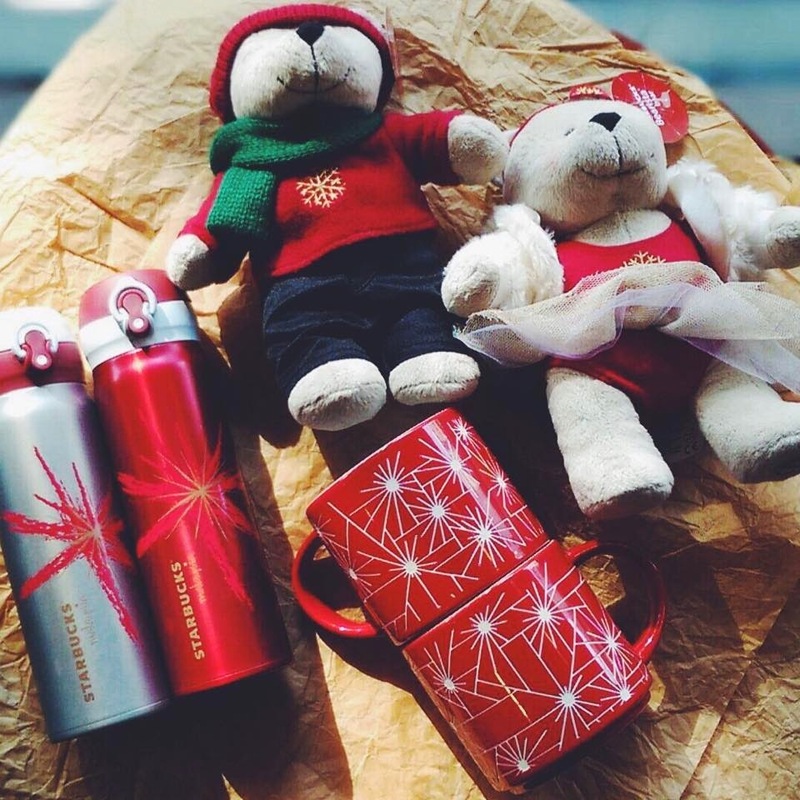 While you have a cuppa latte, pick up those gifts too (or redeem)! From Starbucks, "Keeping Spirits Bright". For me, let's be deeliciously bright, keep calm and drink more coffee. Such a bliss!